New tank tops added to our webstore and in stock at the shop. 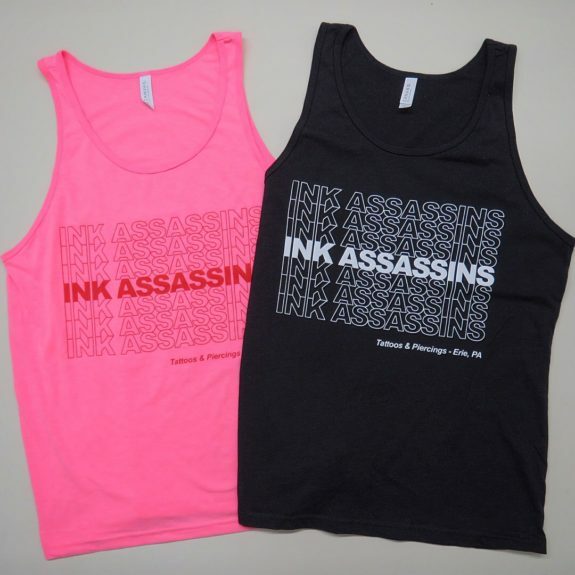 Available in both Heather Black and Neon Pink, small thru XXL. Gotta enjoy our summers here in Erie!!! CLICK HERE TO ORDER. New pull over sweatshirts are in! 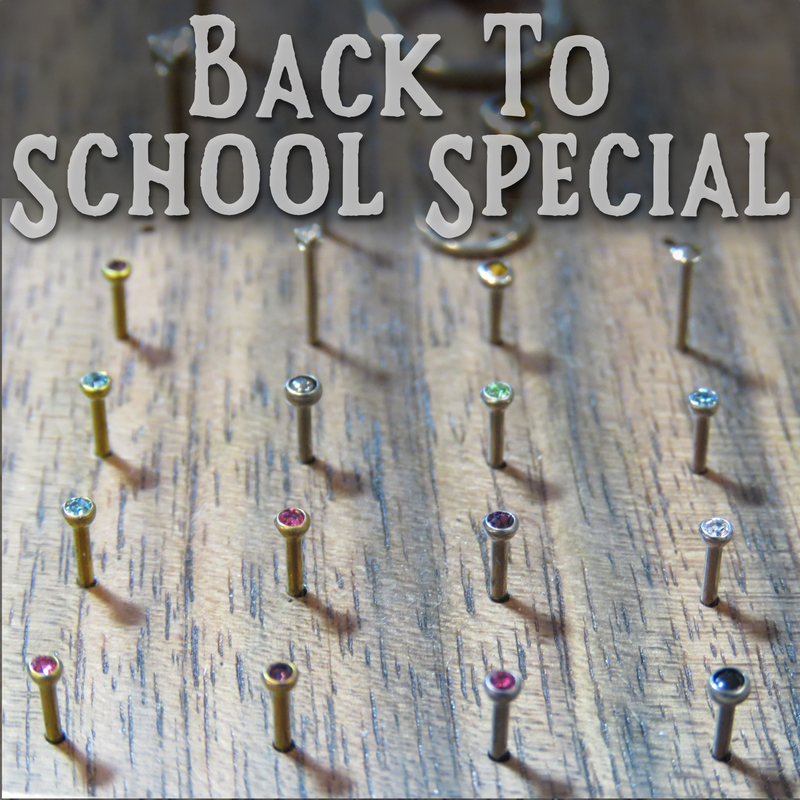 Back to school special – Attention all new college / high school students!! For the next two weeks starting Friday 9/1/17 until Friday 9/15/17 ALL nostril piercings will be $35. You just gotta show us your new student ID AND mention this post for the discount price!!! 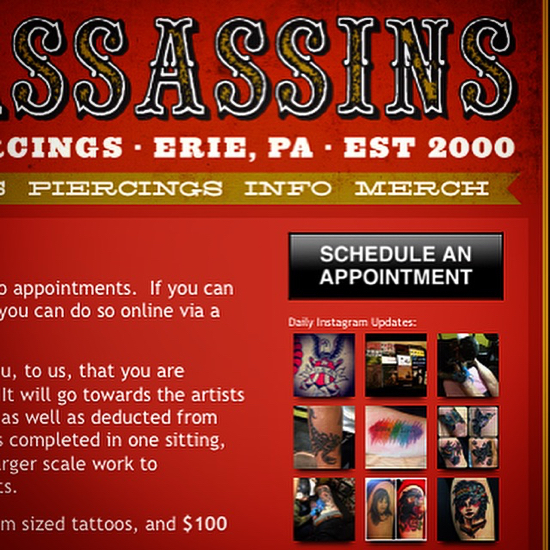 (Proof of age is also required and documented for all piercings – check out www.inkassassins.com/faq/ for what ID we require for adults and minors). It’s been a busy Spring and we’re loving the support! It’s crazy to think that Ink Assassins is now 17 years old. We’re getting excited for the upcoming summer months here in Erie and all of the wonderful things going on around town. It seems like people are pumped about our online appointment booking we now offer, especially our out of town clients. So thank you to everyone who has used that feature on our website. It’s been working out great for both the shop and our patrons. 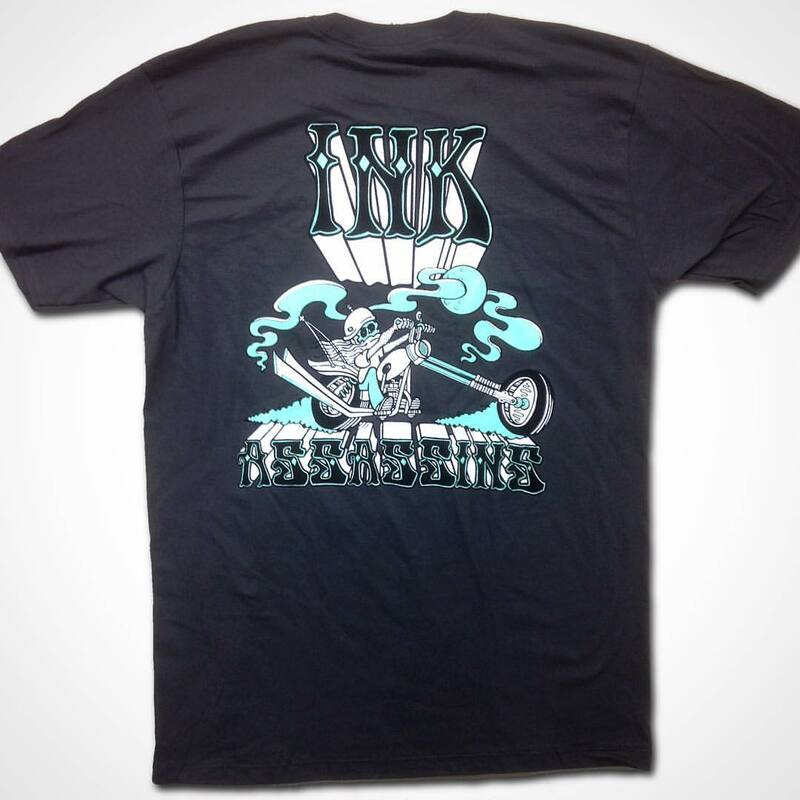 We just dropped another new shirt that our tattoo artist Tony “Thorns” Orlando drew up for the shop. They’re printed on really nice soft charcoal shirts. 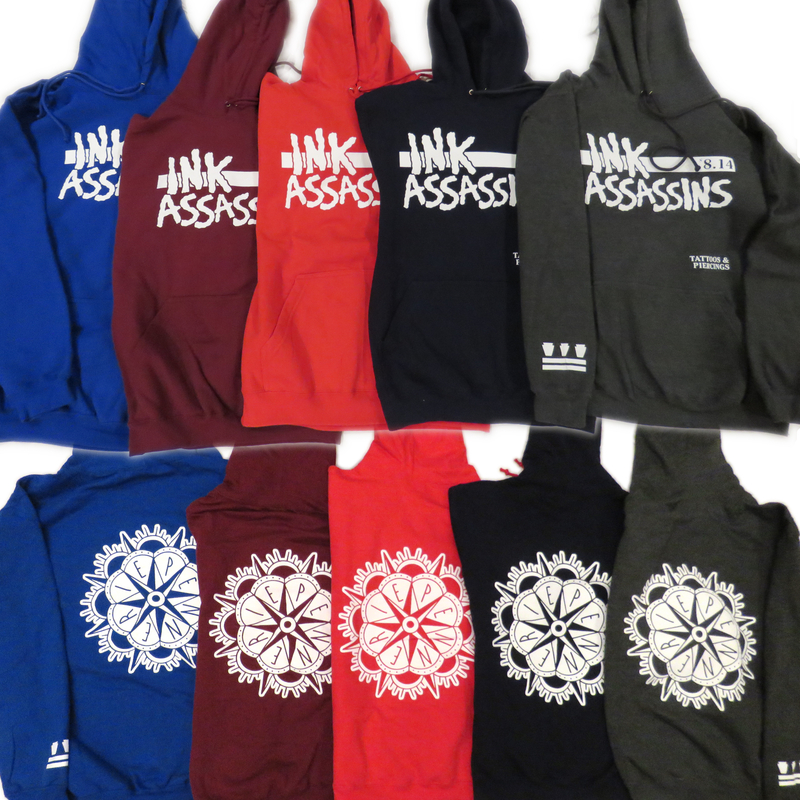 Check them out in our webstore. 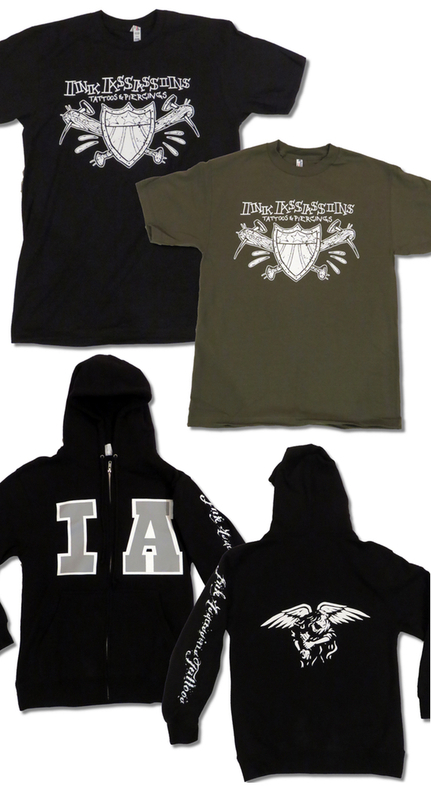 We just got in a batch of new zip-up hooded sweatshirts and two colors of t-shirts in stock. They make for great holiday gifts! One of our favorite Ohio tattooers is here at Ink Assassins for the weekend. 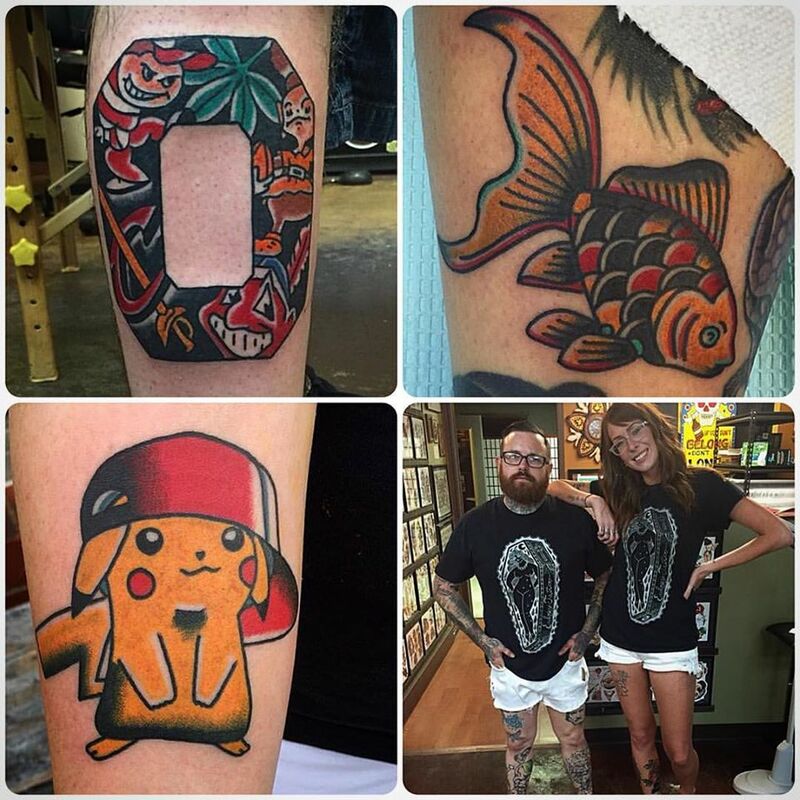 Matt Rohr is here doing walk ins Sept 23-25th, so if you’d like a solid, bold, killer tattoo pop on in. He’s got a book of line drawings you can even pick from if you’re short on ideas. 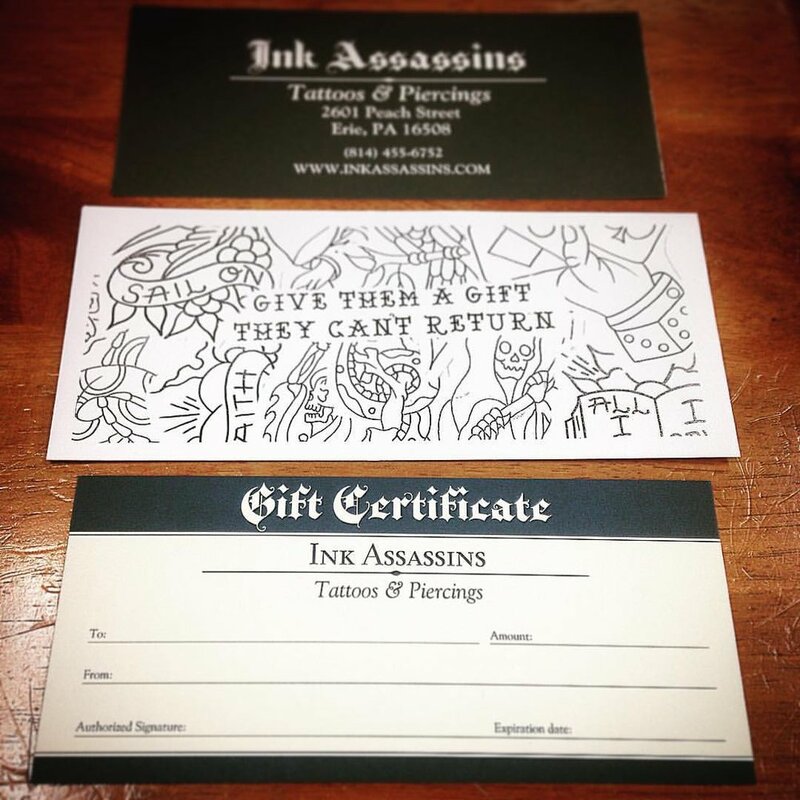 For our out of town clients we are super happy to announce that you can now make tattoos appointments online!!! CLICK HERE for more info.